I’ll stop here and say that I am not referring to some person at a party who shows up with a chart, turns it in a few directions and squints and squints again. As they peer over their glasses, they intuitively determine “the answer” to you, your question, the Universe, and Everything. (Of course, it is 42.) Most astrologers make their living at this kind of thing, but that does not interest me, and I do not refer to that. However, as they speak of patterns–T-Squares, Kites, and Bowls–they head in the proper direction. Consider, instead, what seems to be an infinite number of problems, discussions, and solutions that turn on the notion of a “point.” A classic example focuses on the Ascendant. Not too many years ago, this commentary would seem silly. (I’m ruling out skeptics & such.) After all, we had to have massive and expensive computers just to create Michelson’s Emphemeris (which almost everybody used). Those were as precise as we could get, but we could work out some details by hand. You’d have to have a supercomputer at your fingertips to talk about anything else. Today, functionally, we have those supercomputers at our fingertips. We’ve redefined what a supercomputer is, and we’ve obliterated our memory of our expectations, but that is what happened. And, now, people fight over genuinely bizarre questions that no one thought to pose. Many, if not most, of those fights are a waste of time. They’ll never yield a solution. Although points sound precise, they aren’t. They can never quite be reached, they always build in error, and the concept not only invites a variety of nasty problems but also excludes certain kinds of solutions. Arcane groups of typically otherwise unusual individuals (that wasn’t a typo) would gather together and “discuss” about what time the Ascendant “really” was. “Discuss” was an understatment, because fights would break out and lifetime enmities would sometimes result. All over the question of what was the right “point” in time. Known as “The Law of Correspondence,” this Hermetic Law says that everything on Earth, everything in the mundane world, corresponds (I prefer “maps”) to something in “Heaven.” This is the fundamental underpinning of all astrology. Without it, nothing else works. This same lineage of thinking also accepted Platonic Ideals as the foundation for the way the universe works. I use term “fractals” in this article as a shorthand for “chaos theory,” “non-linear dynamically systems,” Julia Set, Mandelbrot set, a whole stack of “monsters,” and, of course, fractals proper. The shakeup hasn’t been pretty, and the 19th Century physics crowd is still having a serious problem with it. The problem is, much of Astrology seems to run on that way of thinking as well. And, back in the world of Metaphysics, we seem to continue to force the notion of Platonic Solids (and similar ideas, the “perfect circle” and the “perfect square”) onto the Law of Correspondence. In many cases, that produces useful results. But, in many more, that particular model of how the universe works simply fails. Problems that do not solve via Platonic Solids require that the Law of Correspondence be applied through a different way of seeing the world. Rather than apply it naively, apply it upon itself, repeatedly. We’ll revisit that solution later, near the end of this article. The law of correspondence has been expressed a variety of ways, and all of them may be reduced to the concept that a thing contains a reduced copy of itself within itself. This precisely delineates fractals; they are “patterns without dimension.” Platonic solids and such notions fail here. Metaphysicians for years have wrestled with this both directly and indirectly, and the general outcome has been to develop workarounds. One approach is to write in such an obfuscated fashion that your writings are a written Rorschach card that no one understands but that “experts” (i.e. your “followers”) can make a claim for. If someone can interpret anything out of the mess that you have written to suit the occasion, then you can “sound good” under any circumstances, right? That might sound acceptable to those who speculate without accomplishment, but it is not very good for those of us who actually use the concepts to get things done. Another approach has been to handle it through ritual. March people around the four directions and imply that’s how the Sun works and how the world works, and we suddenly think we understand the Law of Correspondence. Actually, that is a good basic approach, and it is helpful as a beginning. However, past a point, it runs out of steam. See how pervasive the thinking is? Ok, take the Ascendant example. We know from fractal theory that a fractal contains an image of itself within itself. Zoom out, and you’ll see basically the same pattern. You will find that the same is equally true with the inherent ambiguity built into any ATTEMPT to determine the ascendant. The mental image that I have is this: I envision a weekly meeting with a room full of elderly men & women with a handful of youths with very strange hairdo’s. A certain amount of certainty exists in this situation (the walls of the building, the structures of the chair, the ever present plumbing problem, who will fight with whom, etc). And, a certain amount of “chaos” exists (what the young person’s hair color will be this week, when will the fight break out, things like light bulbs burning out or car alarms being set off). Zoom back into the data of any given chart. You’ll find certain facts, Some will be cultural (how birth data was recorded, if at all), some will be specific (whether or not the birth was at a hospital or at home), and so forth. You can count on this data with the unquestioned regularity of the plumbing problem at the meeting (which will surely continue after the chairs and walls are gone). Looking further, you’ll find family quirks. In a city with a population of one million, the so-and-so family was the ONLY one who SOLELY used brushes made from cat hairs to ALWAYS record birth times. The birth was in August, which was a bad time for cats because the local biology students had to find specimens for their anatomy classes. We’ve all heard these kinds of stories, and they seem to be standard in our field. And, you’ll find the clearly ambiguous. Okay, so a “miracle” happens. Someone brings in some piece of data (an exception was made that day to use a Goat’s hair brush), and that somehow helps narrow down the still incomplete version of weirdness. 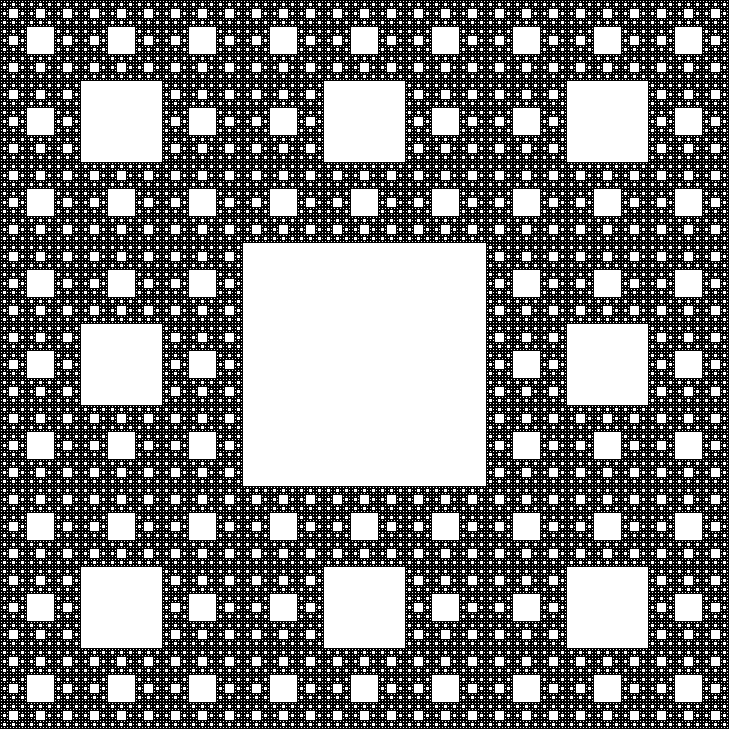 Effectively, you’ve zoomed in on the same fractal pattern, and it still looks similarly ambiguous. The kicker is, even if you had a video made of the birth with an atomic clock based time code, you would STILL have the same pattern of ambiguities (“errors” to some) in the data. THAT means (1) the ambiguities and errors can NEVER be eliminated; (2) a “precise point” can never be found; and, many argue and I agree (3) a precise point simply doesn’t exist (not even down into the particle physics layers and sub-layers of time and matter). Oddly, this kind of problem seems to affect the history of time itself. I won’t bore you with the stories of ten months (the TENTH month being called December) and then that eventually turned into modern calendars; most of us know this or you can find that elsewhere. But, into the 1800’s, time tended to be measured in terms of DAYS and WEEKS. Mathematicians Laplace and Poincare became interested in more precise time (laying the foundation for Einstein. Travel was by horse, and meetings were scheduled for a particular DAY, not hour. With notable exceptions (Arab Astrologers), “hours” were not used. The telegraph and the locomotive train changed that. The result was the development of the first clock, a public device, in Paris (hourglasses didn’t count, or at least not well, and sun-dials had too many problems). The bottom line is that the history of time itself has the same kind of fractal pattern as, say, a Koch snowflake. The very measurement of time has changed dramatically. If you want to move to the next stage in astrological thinking, you’ll need to make this switch. “Next” is an ambiguous meaning, but at least consider that the region could be as large as from the PREVIOUS 2000 years to the NEXT 2000 years. Some of you are saying, so what? Yep, even metaphysical people do that. And, yes, that would mean you have to buy new software. Thanks for this article. Definitely giving me food for thought regarding some questions I have. Like, what do you consider the moment of birth? First sight of the crown? First breath? When they cut the cord? I know when my son was born, recording the time was more of an afterthought than anything else. There certainly weren’t any stopwatches involved. Labour (like pregnancy before and life after it) is an extended transition, not a point in time. But then both time and points are only metaphor, aren’t they? I think you understand my point, and I think you have the answer to the question imbedded in your comment. So, let us ponder this for a moment. The traditional answer is “first breath.” Keep in mind that, when that was formulated, (1) generally, clocks did not have second hands, (2) most cultures had a granularity for time of only down to the hour, and (3) even those with more granular time were still using sundials and water clocks and such. So, in those days, it was mostly a non-issue. Fast forward to modern times. Our granularity of time changed with the need to synchronize railroads, the work of LaPlace, and later the work of Einstein. In fact, our granularity of time is down to very small slivers measured by atomic clocks that can be affected by such things as an airplane flying overhead. (In fact, these “super clocks” can be used for weird purposes, such as an aircraft flying overhead.) But, just as seconds and minutes were rare in cultures that did well to keep up with hours, most of us have a granularity of seconds. Anything below that is hampered by reaction time, the limits of our perception, and similar factors. All that would be bad enough, and I am sure your mind can fly to a world of examples and counter-examples. Surely crowning takes more than one second, and a group of observers is likely to disagree regarding the precise moment. The same is true for first breath, which, by the way, is frequently induced after cleaning away the vernix and sometimes requires bag-valve-mask (which means it is no longer “spontaneous”). But, for all these problems, things get WORSE. After all, many individuals have a “final dispositor” or something similar in their chart. This is some planet that, in a sense, has the “final say-so.” Suppose that a final dispositor of one planet means, among other things, that crowning is the “real” moment. A final dispositor of a different planet means “first breath,” and so forth. How do you know which is which? Do you just claim to “oracle it” by reading “the Akashic records”? What if 10 other people what 12 other takes on said Akashic records. (I have seen this kind of thing.) Who is right? The loudest voice? The one with the most “friends on their side”? The whole thing is rather suspicious and leads us back to the key point (if you will pardon the choice of term) here: it is NOT a point; it is a process. As a footnote, we see this among better trained statisticians. They are not so much interested in the mean or median as they are the Confidence Interval that contains the measure of central tendency of interest. That’s really the same as saying “maybe the point is interesting, but because we cannot determine where it is we have to pick a range.” Again, a process rather than a point. Moment of birth is first breath. Which sounds very good except that “the first breath” is not a point, either. The first breath has a beginning, end, and a span. For precise time measurement in the sense of a “point,” it fails. Thank you. Feel free to post ideas & comments. I receive many requests for natal charts, but would be particularly interested in requests for charts of international events. (For example, events happening in India, the Middle East, or the Pacific Rim that I may not ordinarily hear about via the media available here.